Reflecting can often be a good thing. Ralph Northam is still governor of Virginia, though it seemed that he would be run out on a rail when the story or stories of him being blackface surfaced on Friday, Feb. 1. Just about every progressive with a PC bone in his or her body called for him to immediately resign. The situation became further complicated when shortly thereafter accusations were made public that Lieutenant Governor Justin Fairfax had sexually assaulted two women, one while they were both students at Duke University. To further compound, Virginia’s Attorney-General Mark Herring acknowledged that he too had worn black face. Each, or perhaps all, is very lucky. Fairfax did not do what he is accused of, or he did them but does not consider them serious, or he is trying to run out the clock until evidence is presented. Herring got a reasonable break because what he did was not that unusual, not illegal, and he owned up to it rather than being the target of accusations. By taking a chance that the storm would pass, Northam and Fairfax won their bets and for now are in office. The storm was just breezy for Herring. One, two or three of them will have to resign or will be otherwise removed from office once more information comes forward. Truth be told, none of us on the outside really knows what happened, except in the case of Attorney-General Herring. The fact that we don’t know should be reason alone to keep us from hastily jumping to conclusions. But that does not seem to be the way it frequently works. Most of us believe in the axiom of innocent until proven guilty. But we also know that in cases of urgency, we cannot afford to operate that way. If a bus driver causes an accident and he is found to have been drinking, he should be fired, or at least put in a rehab program and not allowed to return to work until he successfully completed the program. If a president shoots and kills someone on 5th Avenue in New York, he/she should be impeached and convicted as quickly as possible, even if the case has not been fully adjudicated in court. Should Ralph Northam, Justin Fairfax and Mark Herring still be in office? The answer is murky. What is clear is that none of them should be forced to leave office because of a loud and frenzied outcry at the time of the initial accusations. As real evidence grows, then their vulnerability should increase. 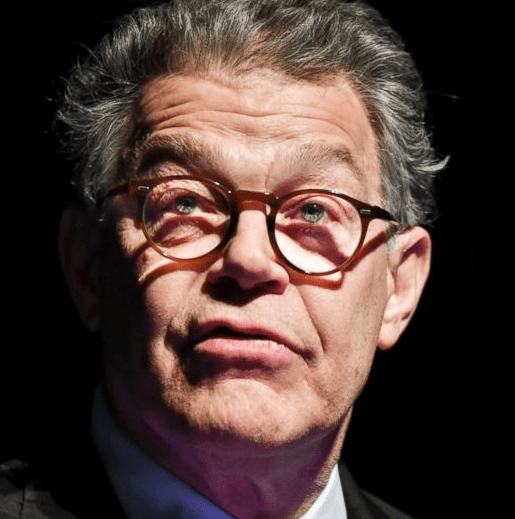 This conversation cannot end without mention of former Minnesota Senator Al Franken. It was if he was surrounded by a lynching crowd in his own Senate. His “possible” answers did not count. Some were anxious to wipe him off their radar screen. Kudos to Northam, Fairfax and Herring for not succumbing to the noise. But if evidence and reason gets them, then they have to go.